C1626. 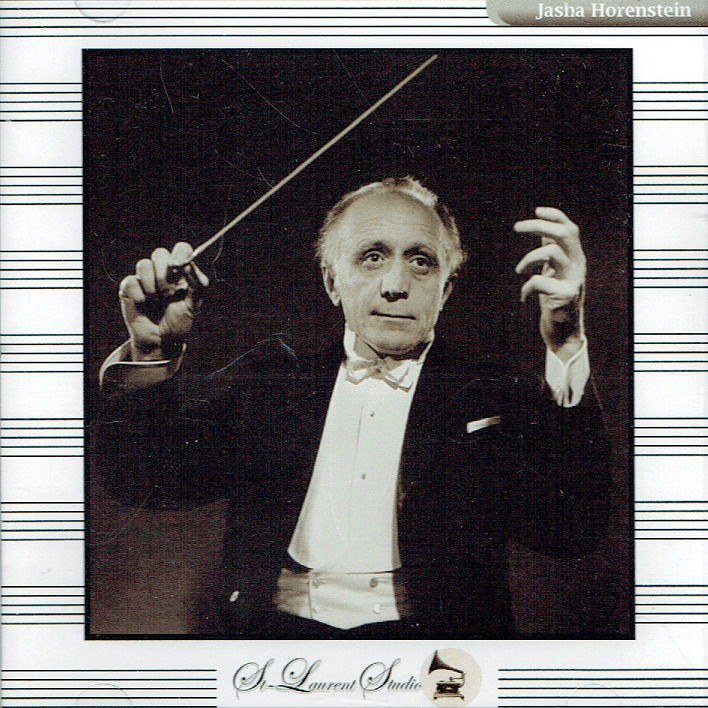 JASCHA HORENSTEIN Cond. RTF S.O. 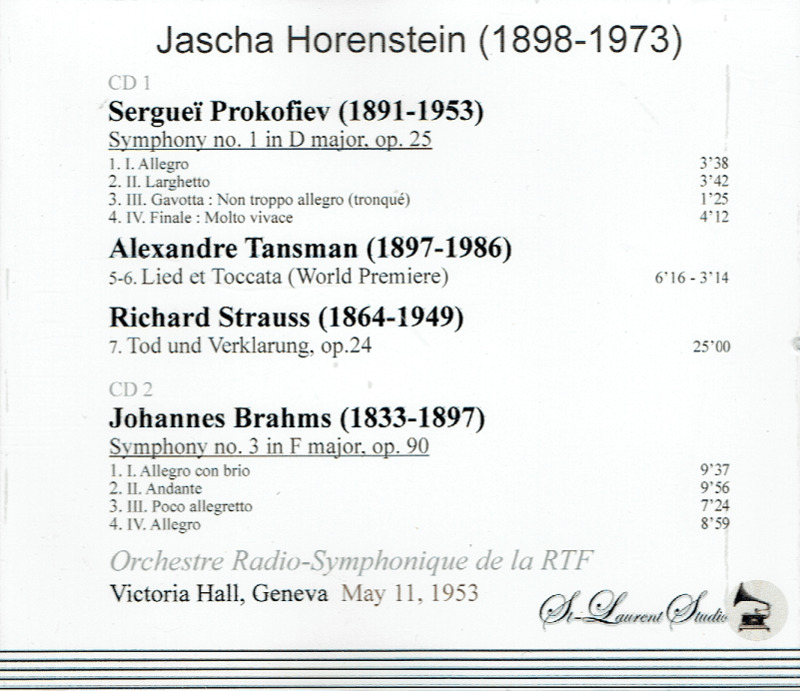 : Symphony #1 in D (Prokofiev); Lied & Toccata (Tansman - World Premiere); Tod und Verklärung (Strauss); Symphony #3 in F (Brahms). (Canada) 2-St Laurent Studio YSL T-612, Live Performance, 11 May, 1953, Victoria Hall, Geneva. Transfers by Yves St Laurent. 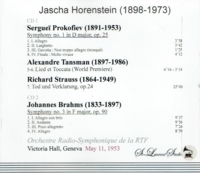 “Alexandre Tansman is called both a French composer of Polish birth and a Polish composer who emigrated to France. However, he likely considered France his adopted homeland; except for the war years he lived in Paris from 1919 until his death in 1986, and he chose the French spelling of his given name, Aleksander.